It’s Friday and Baseball is back! Thanks to the All-Star Break, it’s been awhile since we’ve seen the Yankees on the field. Okay, any one not named Aaron Judge or Luis Severino. They’re back in the Bronx and ready to take on the not-so-high flyin’ Mets. One thing is sure, we’ll be seeing plenty of ink about Noah Syndergaard and Jacob deGrom and their potential connection to the Yankees over the next few days. Syndergaard takes the mound tonight against Domingo German, while deGrom matches up against Masahiro Tanaka on Sunday. As much as I’d love to have either pitcher, the realist in me knows that the likelihood either pitcher is traded to the Yankees is non-existent. The Mets are not going to send any of their top players to the Yankees regardless of the return. The Yankees begin the second half four-and-a-half games behind the Boston Red Sox in the AL East. Hats off to the Red Sox for their brilliant first half. They beat the teams they were supposed to. Mookie Betts has showed why he is one of the best players in Major League Baseball, and J.D. Martinez has proven to be the best off-season addition for any team (sorry, Giancarlo). 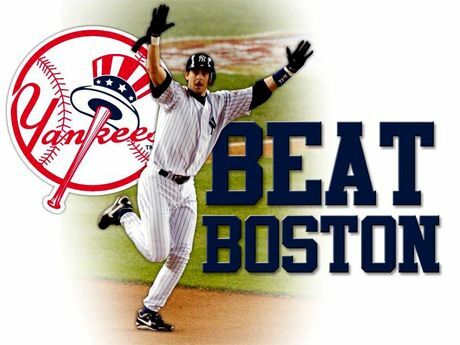 But it's a new day and plenty of time for the Yankees to catch the Red Sox and put them in their rearview mirror. The Yankees have 67 games remaining or three more than the Red Sox. I think as long as the Yankees can keep winning series, they'll be in great shape come September, or better yet, October. The Red Sox have an easy start to the second half with the Detroit Tigers and Manny Machado-less Baltimore Orioles, a team that they already owned this season winning nine of ten games played. However, there's a big showdown with the Yankees at Fenway Park looming the first week of August. This is a great chance for the Yankees to keep it close for the next couple of weeks and then make a huge statement in Boston with hopefully a win of the four-game series. 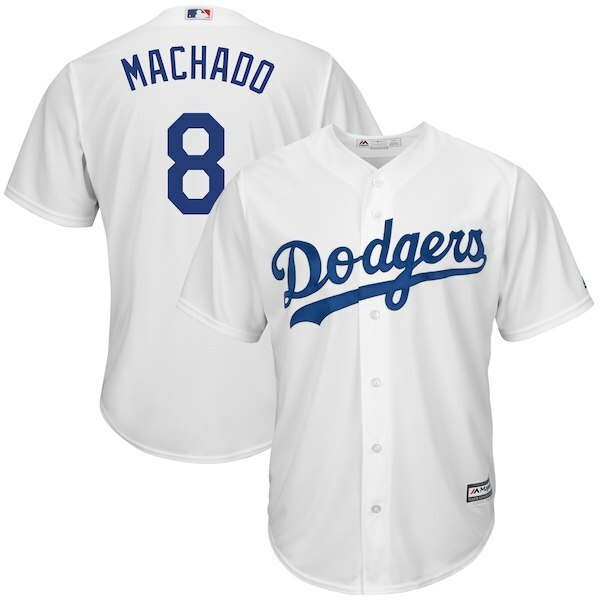 I think it was tough for Yankees fans to see Manny Machado traded to the Los Angeles Dodgers this week. Many of us, myself included, envisioned what it would look like to see Manny in pinstripes. I know, it was a 'want' and not a 'need' but how beautiful would it have looked to insert Machado's name into the Yankees lineup? It may still come to fruition after the season when Manny hits the open market, but of course that doesn’t help us today. The best part about Manny going to Los Angeles is that Yankees pitchers won’t have to face him again unless the Yankees and Dodgers meet in the World Series (a very nice problem to have). Manny destroyed the Yankees this year with six home runs. It’ll be nice to play the Baltimore Orioles for the remainder of the year without the threat of Manny at bat. Hopefully the next home run he hits at Yankee Stadium will be while wearing Pinstripes. We’ll see. Nice job by Machado in picking his new number for the Dodgers. His beloved #13 was already taken by this year’s breakout player, Max Muncy. Closer Kenley Jansen offered to pay Muncy to relinquish the number, but in the end, Manny chose a different number. Like Don Mattingly, who took #8 as a tribute for Yogi Berra when he joined the Dodgers coaching staff under Joe Torre a few years ago and later served as their manager, Machado has acquired the same number in honor of Orioles Hall of Famer Cal Ripken, Jr. A very classy move by Machado and a gesture I am sure the heartbroken O's fans appreciate. The Yankees lost another trade target yesterday when the Cleveland Indians abruptly acquired San Diego closer Brad Hand yesterday. I was surprised at the high cost the Indians paid (top catching prospect Francisco Mejia) but Cleveland’s bullpen was a mess. Once they get Andrew Miller back on the field, the Indians bullpen, with Hand, Miller, closer Cody Allen, and newcomer Adam Cimber, appears to be very formidable, especially in the post-season. Former Yankees pitcher, and now Padres reliever, Phil Hughes had the best Twitter quote following the Hand trade: "Just a few more trades and I'll be the closer. Too soon?" 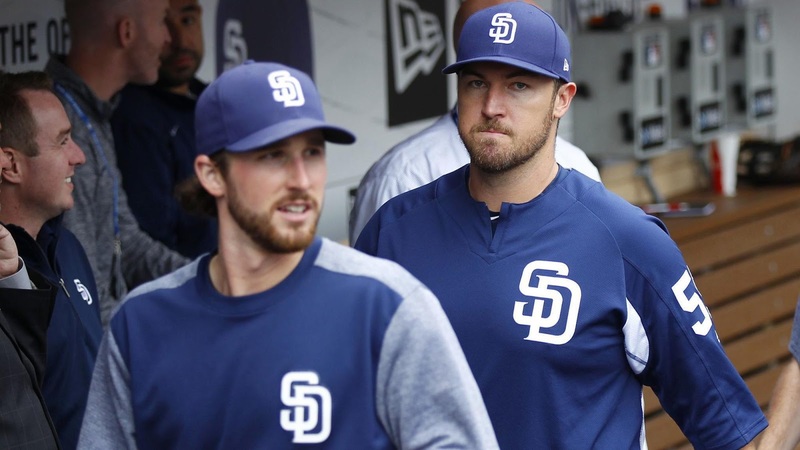 Former Yankee Kirby Yates is expected to take Hand's place as San Diego's closer, but even he has been the subject of trade speculation. Hughes, while clearly jesting, may in fact get his wish. Yankees fans are growing impatient but we’re still eleven days away from the non-waiver trading deadline. There’s time. GM Brian Cashman and his staff are working diligently behind the scenes. At this point, I am not really expecting a big splash but I do fully anticipate reinforcements in the not-so-distant future. It was a year ago yesterday the Yankees acquired relievers David Robertson and Tommy Kahnle and third baseman Todd Frazier from the Chicago White Sox. If I had my wish, I’d probably prefer the acquisition of Orioles reliever Zach Britton who seems to be rounding back into form after his recovery from injuries. It’s not that I don’t feel the Yankees shouldn’t acquire a starter but the names of Michael Fulmer, J.A. Happ, and Cole Hamels are not inspiring to me. Dan O'Dowd of the MLB Network feels that Hamels would be re-energized with the chance to play in a pennant race, but c'mon, he clearly is not the pitcher he once was. 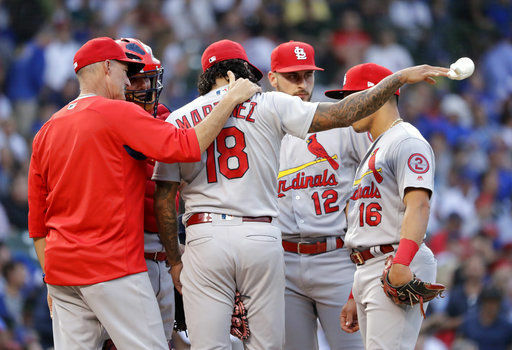 The Yankees had scouts at Wrigley Field in Chicago yesterday to watch St Louis Cardinals starter Carlos Martinez. I’d love to have Martinez, 26, but his Yankees audition didn’t go so well as he took the loss against the Cubs, giving up six runs (five earned) over five innings, in the 9-6 defeat. Still, Martinez would be an upgrade if the Yankees can entice the Cardinals to part with the talented righty. The Yankees may have lost a valuable trading chip yesterday when outfielder Clint Frazier was pulled from a Scranton/Wilkes-Barre game for possible concussion symptoms after a failed diving attempt to catch a fly ball in the first inning. Frazier’s concussion in Spring Training cost him the first couple months of the season. There will be one “newcomer” when the Yankees take the field tonight. Well, he is not quite a newcomer but Gary Sanchez will be back in action behind the plate following his activation off the disabled list yesterday. If El Gary starts to hit like he did last summer, it’s scary to think what the Yankees offense is capable of. With no offense to either Austin Romine or Kyle Higashioka, Sanchez’s presence improves the team. Higgy was optioned to Triple A to make room for Sanchez. Now, we just need to get Gleyber Torres back. ESPN's Keith Law released his Mid-Season Top 50 Prospect Update yesterday and has Yankees LHP Justus Sheffield listed at #12. I loved his last line about Top Sheff: "He's very close to major league-ready, however, has all the elements of a future No. 2 starter". I wouldn't want to put the pressure of a pennant chase on Sheff as a starter for the Yankees this year plus he'll be nearing an innings limit at some point, but you gotta love the thought of Sheffield pitching out of the pen, perhaps as soon as next month or September at the latest. Well, let's begin Operation Beat Boston. Yankees, welcome back. We've missed you. Let's make this a victorious Friday. Send Thor to the showers early, and bring us a win.